Notes: Common, in birch woodland, throughout most of Britain. In Hampshire, local and evidently rather uncommon amongst birch, generally in heathland areas. Not recorded on the Isle of Wight to date. Wingspan 9-11mm. This species is most easily distinguished from other Eriocrania by the conspicuous silvery tornal spot, which in most other species is pale golden (MBGBI Vol 1). 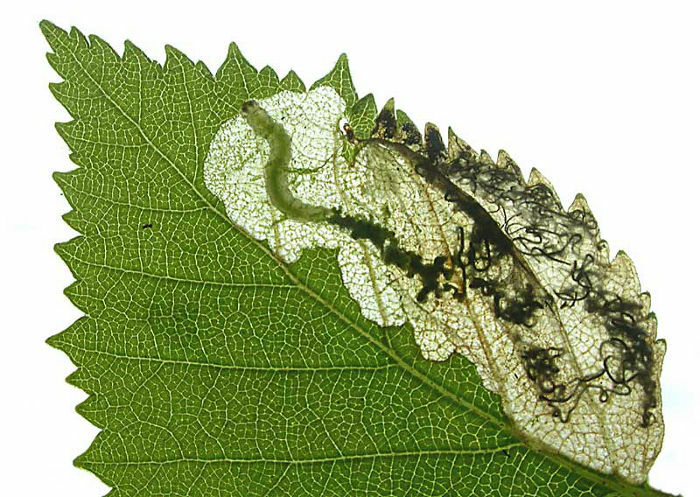 Larva mines leaves of birch, over-wintering as a pupa.